DIY Home Decor | It's no secret that Anthropologie has the prettiest hardware. But who can afford $10 a knob when you've several furniture pieces? 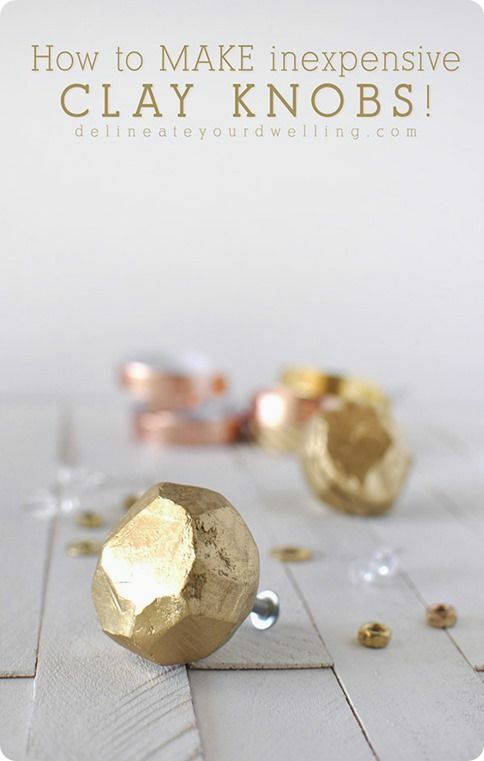 Instead grab some clay and make your own faceted gold knobs for less than $1 a piece!